DrugScope trustees have taken the decision to close the organisation, based on its ‘worsening financial situation’. Founded 15 years ago from a merger between the Institute for the Study of Drug Dependence (ISDD) and the Standing Conference on Drug Abuse (SCODA), the charity has long campaigned for evidence-based treatment and against stigma and discrimination. 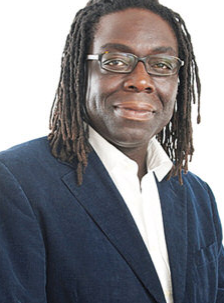 The charity provided ‘an important voice for those working in the drug and alcohol sectors’ and proved ‘an authoritative and influential contributor in Whitehall and Westminster’, said the Guardian, which went on to praise its ‘topical, non-judgmental and evidence-based approach’, while Turning Point chief executive Victor Adebowale wrote that the closure risked creating a vacuum that would be ‘a blow for all of civil society, not just for social care’. The decision to close DrugScope would not affect the Federation of Drug and Alcohol Professionals (FDAP), stated chief executive Marcus Roberts. ‘I would like to take this opportunity to thank staff – past and present – for all their exceptional hard work and loyalty which has ensured DrugScope’s high reputation within the sector and beyond,’ he said. ‘It has been an immense privilege to lead such a skilled and dedicated staff team. I’d also like to thank all those who have worked as DrugScope trustees – now and over the years – for their support for the organisation and its mission.